Tiny Aliens for iPhone, developed by Gamzio, Inc., offers up 70 levels of adorable fun (plus secret bonus levels if you get a high score.) These cute little aliens are stranded a long way from home, and it is up to you to help them return to their home planet. 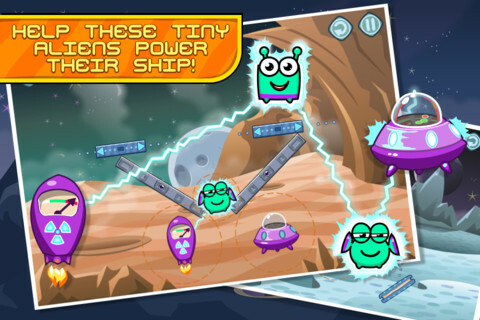 These little guys need fuel, and you need to help them to power up their ship. 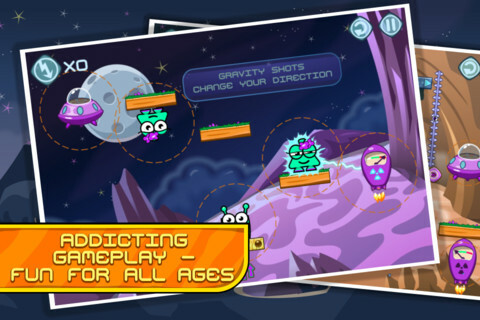 The gameplay in Tiny Aliens is pretty simple: tap on a block to remove it, and the little alien on the block falls down to the next level. Try to make a connection between the fuel and the ship, using the aliens to connect the two points. The physics are impressively solid in Tiny Aliens. The motions made by removing bricks seem accurate and consistent throughout, which is a feature that will minimize frustration for players from level to level. The gameplay is very similar to classics in the “falling item” genre like Redstar Fall. The design is likwise great. The use of color is wonderful, and the character design for the aliens is really cool. 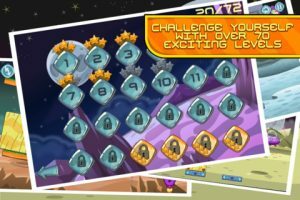 Tiny Aliens is definitely a family-friendly title, and you should have no qualms about letting your kids play this puzzler game. 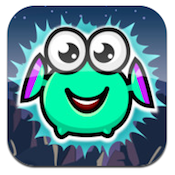 The App Store gives Tiny Aliens a 4+ rating. 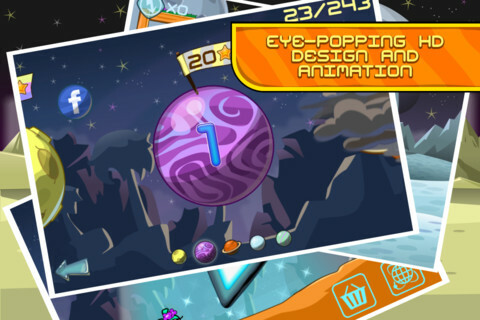 If you love iPhone puzzle games, Tiny Aliens will be right up your alley. For only a buck, you get 70 levels of addictive, fun gameplay. 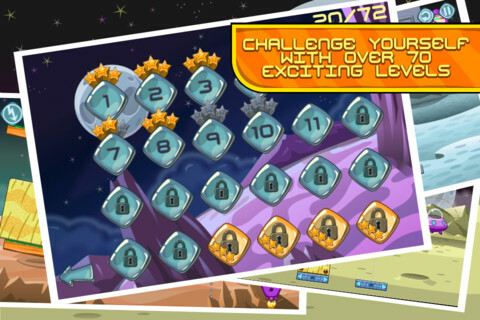 Plus, Tiny Aliens also has Game Center support, so you can challenges your friends to top your high score. If you like a challenge, this head scratching game is sure to please. Note: If you want to play Tiny Aliens on your iPad, you should definitely opt for Tiny Aliens HD instead of Tiny Aliens, at the recommendation of the developers. Tiny Aliensis compatible with iPhone, iPod touch, and iPad. Requires iOS 4.1 or later. A small expedite fee was paid by the developer to speed up the publication of this iPhone game review.